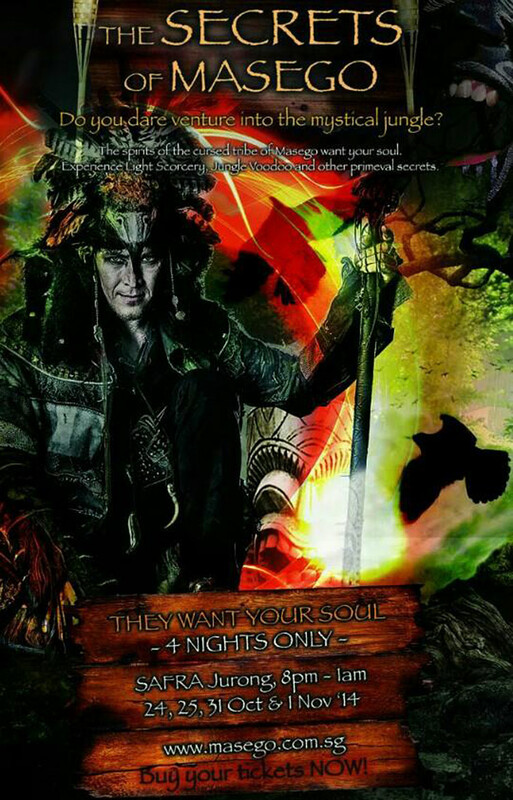 Be afraid…A dark and ancient tribal force is unleashed this Halloween…”The Secrets of Masego” unleashed this 24 Oct – 1 Nov 2014! Ticket sales open on SISTIC from 30 Sept onwards. Early Bird tickets available till 10 Oct 2014. Awaken the ancient curse of Masego! In the labyrinth of this haunted jungle, there is no return. It is rumored that a rousing tribe once inhabited these dense dwellings. But now, spirits of the cursed tribe linger among the trees. Having offended the ancient gods of the primeval jungle, they are now slaves to the abandoned hinterland of Masego, forced to collect 10,000 souls to empower the ancient forces. Will they be able to break free from this wicked curse and escape their eternal servitude? Experience the mystique of Masego. To survive, subject yourself to the initiation rites of tribal markings. Drink of the ancient potion and allow your third eye to be opened. Witness Light Sorcery, a secret dance ritual. 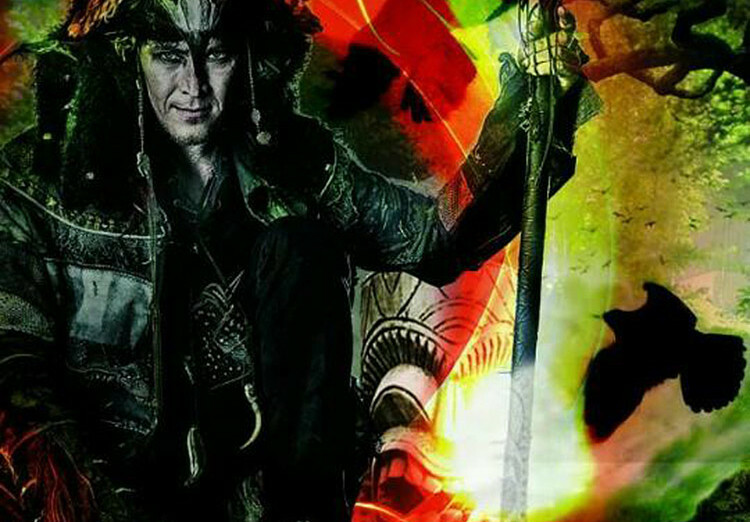 Join in The Oracle Parade, a tribal catwalk and costume competition with prizes to be given out for the best haunted tribe / jungle voodoo costume. Jungle Ear Waxing, Skulls Massage, Tribal Nail Art, Tribal Face Painting and other hidden secrets. A tribal dance performance team that harrowed audiences all over Asia from 5-star hotels to extravagant club parties, Mr. Jay and his dancers will be flying down to Singapore for a one-of-a-kind dance performance specially choreographed for “The Secrets of Masego”. Originating from France, expect a dazzling night of tribal dance allure, forming surreal movements through light sorcery. Walk into the labyrinth of our haunted safari jungle and discover the exciting secrets that lie within. Witness our tribal dances and win attractive prizes at game segments. 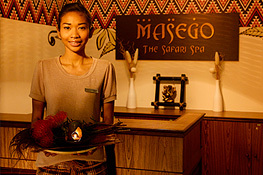 Be prepared to be taken care by our tribe with UNLIMITED mini tribal spa treats all night long. Come explore our jungle on 31 October and 1 November 2014!